waits for a crew in the hole at Lake Pleasant in Montague, MA. 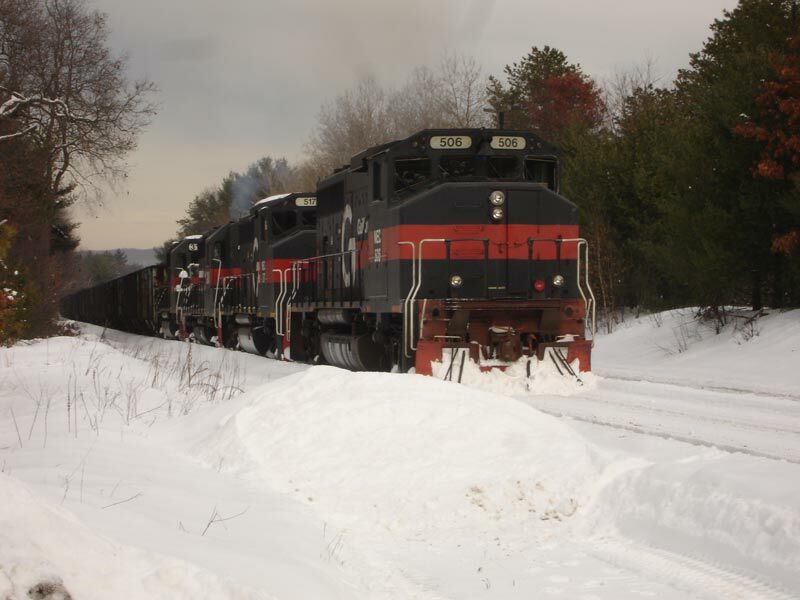 NECR power at Palmer, MA. Well, I’m finally getting around to posting here. It’s about time. I took the photo above on Oct. 17th, when what little fall color we had this year was at its peak. GATX SD40-2’s 7362 and 7369 are parked while NECR GP38 3855 moves back onto the yard lead after holding for some MOW equipment that was returning from the north. That was an especially lucrative evening at Palmer. 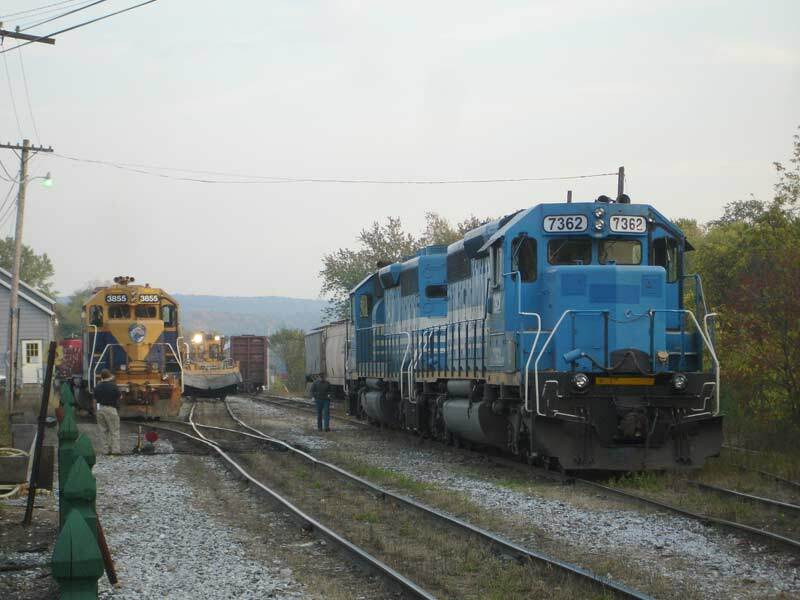 I met my friend Tom there around 5:00 and the action was fairly consistent all evening with NECR making up it’s evening northbound and a number of CSX through trains. The evening was capped off by the Boston section of Amtrak’s Lake Shore coming through on its way to Boston 2.5 hours behind schedule.